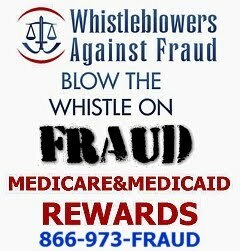 WE DON'T SIGN YOU UP or SELL TO YOU UNTIL YOU HAVE BEEN TRAINED ON MEDICARE !!! STUDY HERE. 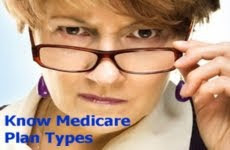 NEW!...FROM MEDICARE.GOV & CMS: THE 2019 "MEDICARE and YOU" BROCHURE in PDF for both viewing or downloading. IT'S LTC SELF-INSURANCE RISK MANAGEMENT or YOUR RETIREMENT NEST-EGGS! MEDICARE ADVANTAGE PLAN (PART C): These plans are run by private insurers that receive money from the government to provide Medicare A-B-D equivalent benefits, for hospitalization, doctor visits and prescription drugs. This type plan takes the place of your Medicare, even though you still have it, you only use the provider plan. They are classed as HMO, PFFS, PPO, and POS. These plans are also know as a Medicare Advantage with Prescription Drug plan (MAPD). It's a Medicare Advantage (MA) plan a prescription drug plan. A Medicare Advantage Health Maintenance Organizations (HMO), are the oldest, most popular of networked, managed care plans. This plan uses your PCP to direct your healthcare and sends you to in-network Specialists with the PCP making the referral. An HMO is an alternative to Medicare that features specific lists of doctors, hospitals, and other providers that you must use to receive benefits. HMOs often provide additional benefits not found in Medicare, including coverage for deductibles, reductions in coinsurance when you see a doctors, Part-D drug benefit plan, vision, dental, hearing, and wellness/fitness programs. The vision, dental, hearing and wellness/fitness programs can be limited by the provider. An HMO Medicare Advantage plan takes the place of Medicare A & B, but you must always continue to have your A & B and pay for B. There are HMO Advantage Plans without a Part D drug benefit for those having drug coverage through other non-Medicare sources. REMEMBER: OUT OF NETWORK MEANS YOU PAY THE TOTAL BILL. MAKE SURE YOU CAN GET SERVICES FROM THE PCP, SPECIALISTS, AND CLOSEST HOSPITALS YOU WANT. IT'S MEDICARE LAW THAT YOU MAY CHANGE, RE-SELECT YOUR NETWORK DOCTORS AT ANY TIME. A Medicare Advantage Private Fee For Service (PFFS), The non-network PFFS plans are now primarily in rural counties. PFFS plans do not restrict beneficiaries to a network of providers but allow enrollees to go to any doctor or hospital willing to provide care and accepts Medicare and the PFFS' plan’s terms of payment. The Medicare Advantage PFFS plans continue to be a viable low cost option. PFFS plans do not have any networks. You can go to any doctor that accepts Medicare but the doctor must be willing to accept the plans payments and terms. The doctor can selectively decide at any time and with any one not to accept the plan. PFFS' often provide additional benefits not found in Medicare, including coverage for deductibles, reductions in coinsurance when you see a doctor, Part-D drug benefit plans, vision, dental, hearing and wellness/fitness programs. The vision, dental, hearing and wellness/fitness programs can be limited by the provider. A PFFS Medicare Advantage plan takes the place of Medicare A & B, but you must always continue to have your A & B and pay for B. 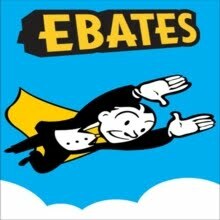 There are PFFS Plans without a Part D drug benefit, you must buy as an add-on. REMEMBER: THE "ANY" DOCTOR MUST ACCEPT AND APPROVE PAYMENT FROM THE PLAN OR YOU PAY THE TOTAL BILL. ALWAYS MAKE SURE YOU CAN GET SERVICES FROM THE PCP, SPECIALISTS, AND CLOSEST HOSPITALS YOU WANT. A Medicare Advantage Preferred Provider Organizations (PPO), A PPO is good plan for people who want to see providers without prior approval or referral from their health plan and those who do not want to choose a PCP doctor. If you use doctors who participate in the PPO network, you get a better benefit and lower copayment/coinsurance than if you visit a non-network doctor. You can choose to go outside of the network for some care and pay a higher cost. You usually pay a yearly deductible before the PPO starts to pay some or all of your bills. You usually pay a co-insurance percent of the bill when you get a covered service. Then the PPO pays the rest. PPO's often provide additional benefits not found in Medicare, including coverage for Part-D drug benefit plan, vision, dental, hearing and wellness/fitness programs. The vision, dental, hearing and wellness/fitness programs can be limited by the provider. A PPO Medicare Advantage plan takes the place of Medicare A & B, but you must always continue to have your A & B and pay for B. REMEMBER: THE PREFERRED PROVIDER IS YOUR LOWEST COST. 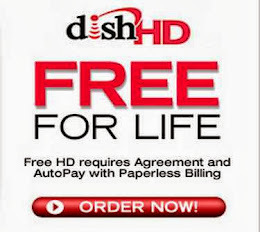 YOU PAY MORE OUT OF NETWORK AND THAT DOCTOR MUST ACCEPT AND APPROVE PAYMENT FROM THE PLAN OR YOU PAY THE TOTAL BILL. ALWAYS MAKE SURE YOU CAN GET SERVICES FROM THE PCP, SPECIALISTS, AND CLOSEST HOSPITALS YOU WANT. "Med-Sups" are simply traditional, private insurance company policies covering the deductibles and co-insurance costs of approved Medicare services. A Medicare Supplement insurance plan helps cover the costs that are left unpaid after Medicare Parts A and B pay their portion of your healthcare expenses. Unlike the Medicare Advantage C plan, which is your Medicare Parts A and B, a Medicare Supplement plan is purchased in addition to your Medicare Parts A and B benefit. Supplement policies are standardized into 10 plans-types, each with its own set of benefits. While the costs of these policies may vary, individual insurance companies must provide the same standardized benefits. Some companies may offer extra non-insurance discount health benefits. 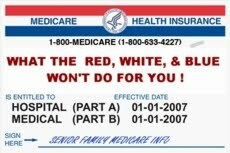 To purchase a policy, in general you must be enrolled in Medicare Part A and Part B. In addition to paying the monthly Medicare Part B premium to Medicare, you will have to pay a premium to the insurance company providing your coverage. Because these plan types are standardized by Medicare and each State's Insurance Commission, type to type, they are the same through any insurance company. A "Med-Sup" plan is purchased in addition to your Medicare Parts A and B. It doesn't replace your A & B, it works with it as an additive. You must always continue to have your A & B and pay for B to use a "Med-Sup. The "Med-Sup" never has Part D drug coverage, you must buy it in addition. REMEMBER: YOU USE DOCTORS & HOSPITALS THAT TAKE MEDICARE. Medicare Prescription Drug Plan coverage is insurance that covers prescription drugs outside of a doctor's office or hospital stay. The Part D is primarily for pharmacy purchases. The plans are run by an approved insurance companies or other Medicare Provider companies. Each plan can vary in cost and drugs covered. All plans must meet basic Medicare standards for drugs covered. Medicare prescription drug coverage provides cost risk protection for people who have very high drug costs or from unexpected prescription drug bills. There are only 2 ways to get Medicare Part D coverage: with a Medicare Part D or a Medicare Advantage Plan that has the Part D inside the plan. The Part D Plan is generally needed with all Med-Sups and sometimes need with a Advantage PFFS Plan that doesn't have a drug plan. If you are considering an Advantage C Plan, make sure it has a Part D bundled with it. REMEMBER: GIVE EXTRA ATTENTION TO THE PLAN'S DEDUCTIBLE, DRUG TIERS, CO-PAYS, CO-INSURANCE, PHARMACY NETWORK and COVERED FORMULARY LISTS. Medicare Savings Accounts (MSA), are a newer type of Medicare Advantage plan. They are tax deductible and tax advantaged much like an IRA. They were designed by Congress to encourage individuals to take personal financial control of their healthcare. An MSA is really a savings account combined with a high-deductible insurance plan. The MSA plans offer you less out-of-pocket expenses and are protected with a lower cost limit. You can see most physicians that take Medicare because the MSA is non-network. A POS is a Point of Service Plan it is many times an element/feature added to an Advantage C plan. Most times a POS uses service providers inside an HMO or Preferred-type network. It is a mix between an HMO and a PPO. You have a primary care doctor and you get most of your health care from an HMO network. The plan has the ability for you to see other doctors/specialists outside the network because it can set up prior to your appointment with payments and co-pays set up by the plan provider. Sometimes the doctor's billing office can call the POS plan's administration which is on the member's card, then negotiate the payment/co-pay. The POS plan feature of seeing non-network doctors is many times added to a PPO or HMO-type plan. Our alliance is appointed with 7 Medicare providers offering 100's of healthcare plans. Our promise to all Medicare Members is: straight, un-biased, non-company affiliated advice and consultation relating only to your healthcare needs and suitability. After that we'll just ask permission to help guide you with plan specific information. OK? To further understand your financial risks of these plans: CLICK HERE PLEASE. CONTACT: THE SENIOR FAMILY ALLIANCE AT 901-217-1805. *Note: This post has been taken, paraphrased, and combined from Medicare.gov, Medicare AHIP certifications, and some of our 7 Medicare Provider web-sites, it is only intended to be generic public non-sales information. Plan specific information is only given under Medicare guidelines. Never post or comment inside a blog and public internet platform about your health or finances. WHO IS THE SENIOR FAMILY ? 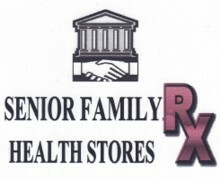 I work for Seniors with all the Medicare Plans & Sr.Financial Planning... I saw what was happening in the homes of senior families and sacrifices seniors made for their prescriptions & health coverage. 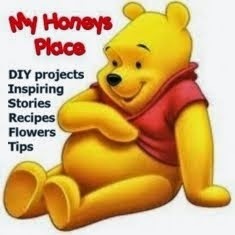 So I built a Saving & Educational place for my Seniors & their Families. I had my 1st Medicare Plan job in 1979. I worked for some large Wall Street firms years ago, there I was educated in senior's finance/safe investing, finished my CFP educational requirement in 01'. Now, I am a Plan Broker representing more 172 Medigap-Sups, Plan C Advantage, & Drug Plans. Now, I just apply my education & skills to benefit "Senior Families".. From Federal Housing to Assisted Living to Golf Course Patios, it's the same mission: Education & Healthcare; bringing SAVINGS-SECURITY-DIGNITY. We welcome comments on any posts. Remember, this is a WWW platform so protect your identity, you can post anonymously. 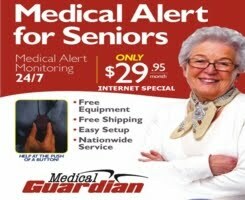 Call us Toll-Free 855-SENIOR6 for private help. 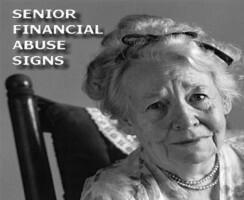 THE SENIOR FAMILY ALLIANCE IS NOT AFFILIATED WITH THE U.S.GOVERNMENT, STATE DHS, OR MEDICARE. ONLY COMPENSATED BY THE PROVIDER COMPANIES OF THE PLANS. PLAN DETAILS PRESENTED UNDER MEDICARE SOA RULES. Call 901-217-1805.... or Post a Question for a FREE CONSULTATION? Click to see 7 ways we work. Click to find out how....to HELP! 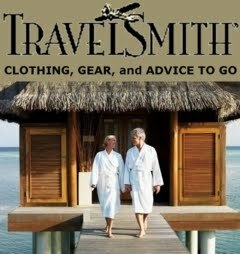 BE A SENIOR FAMILY FAN? Copyright Senior Family Alliance 2011-2012. Powered by Blogger.